Rabbits and deer may be timid around people, but they aren’t afraid to make a buffet out of your garden or landscape plantings when you’re not around. Here in the Midwest, most gardeners will attest to the fact that we often have issues with both. The good news is that you don’t need to use toxic chemicals or set out traps. Check out these easy ways to protect your garden from rabbits and deer. Incorporate plants in your garden that deter rabbits and deer. 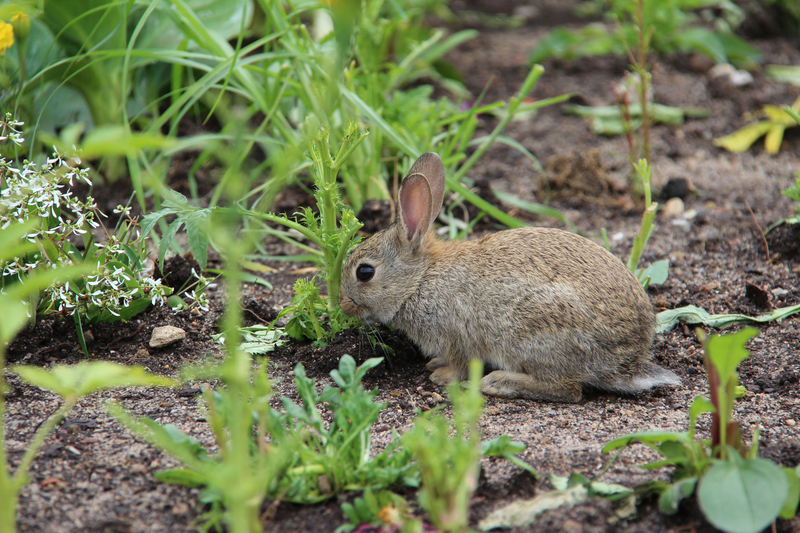 While rabbits and deer are not especially discriminating eaters, there are certain plants that they prefer to avoid. Unappealing plants spaced along the perimeter of a garden plot can help keep these unwelcome visitors away. Consider incorporating plants into your garden like coneflower, French marigolds, foxglove, threadleaf coreopsis, lavender, daffodils and mint. Use bar soap for rabbit and deer repellent. Hang unwrapped bars of Ivory soap from strings in nearby trees or attach soap bars to wooden stakes, placed at 10- to 15-foot intervals along the perimeter of your property or garden area. You can also shave or grate bars of soap using an old cheese grater and sprinkle around the garden. Be sure to re-apply after a significant rainfall. Use fencing or barriers. Fencing can be used to deter rabbits and deer, but keep in mind that deer are likely to leap over fences that are less than eight feet tall. In addition, when trying to keep deer out of your yard or garden, remember that deer are reluctant to jump over fences when they are unable to determine how far they must jump. If you are able to angle your fencing out and away from the garden or are able to string wire between tall posts over a shorter fence, this will make it more difficult for deer to gauge clearance. When trying to keep rabbits away from your plantings, be sure to use chicken wire or mesh fencing with one-inch openings or smaller. Hang wind chimes or windsocks to help deter deer. Deer are notably skittish and the use of unexpected motion or sounds can be used to frighten them away. Windsocks or wind chimes are functional or the installation of a motion-sensing sprinkler, lights, or radio can be used to startle deer away. These noise-making methods won’t be as effective for rabbits though, so the use wind chimes or windsocks should be used in conjunction with fencing or plants that are deterrents. Using these easy methods, you can save your vegetables and flowers from becoming breakfast or dinner for rabbits and deer. When you invest the time in gardening, it only makes sense to take a few steps to protect your plantings. Need help with a landscape design project or new patio? Contact Landscape Creations in DuPage County at (630) 932-8966 for a free quote on your landscape design projects.